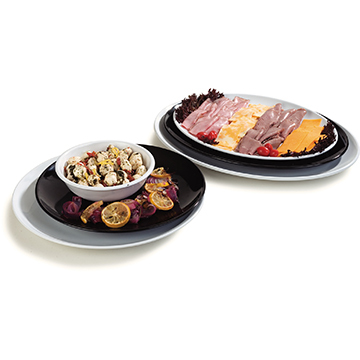 Epicure melamine products are perfect for any bar, restaurant or lounge area. Durable construction makes it a strong, functional piece that will last you through numerous meal services. It is also dishwasher safe, allowing you to easily and quickly wash it and reuse it.